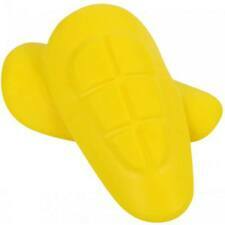 RST Level 2 HEK Elbow / Knee Protector. Specifically designed for RST jackets and jeans. Flexible and lightweight Bio Foam CE certified level 2 protection. CE level 2, the highest certification possible. RST Wet Weather TPU Knee Sliders - Black / White RST Wet Weather TPU Knee Sliders - Black / White. Eire Slovenia. Northern Ireland Slovakia. Netherlands Portugal. Luxembourg Poland. Lightweight yet durable this is easy to fit and interchangeable. RST Contour Plus 9901 Back Protector. Back Protector. Can't find what you're looking for?. MOTORBIKES & SCOOTERS. Sizing Guide. 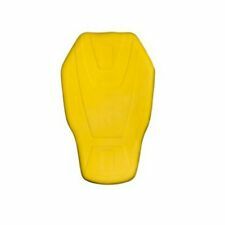 Rst Motorcycle Bike Armour Contour Plus 2033 Visco Back Protector. Dispatched with Royal Mail 2nd Class. Battery Tender. Eire Slovenia. Northern Ireland Slovakia. Netherlands Portugal. Luxembourg Poland. Moto Central: RST TPU Puller Knee Sliders. 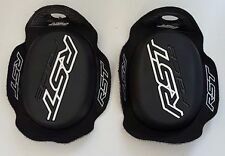 Brand new pair of RST Contour Plus Level 1 knee or elbow protectors. Came out of new RST jackets. Slim line level 1 back protector for ladies RST Jackets. Fits ladies RST jacket perfectly even though that jacket is no longer available. Soft and malleable foam so found it very comfortable as it molds to your back. Rst Motorcycle Bike Armour Contour Plus 2033 Visco Elbow And Knee Protector. Dispatched with Royal Mail 2nd Class. Fits all RST Jacket with Back Protector Pocket. 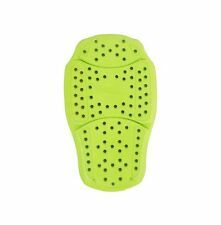 The foam is flexible and adapts to perfectly fit Contour Plus Back protector Simply just slot into the back pocket of your jacket. Despite this, impact protection remains high, with the insert rated as Level 1 CE certified. The new RST Contour Aktiv Back Protector Insert offers a revolutionary combination of comfort and protection. Supremely flexible, the RST Aktiv back protector utilises Memory Elastane to mould to the body and feel practically undetectable to the wearer. Despite this, impact protection remains high, with the insert rated as Level 1 CE certified. RST Level 2 HEK Shoulder Protector. Specifically designed for RST jackets. Flexible and lightweight Bio Foam CE certified level 2 shoulder protection. Bio Foam and 3D spacer plastic construction. CE level 2, the highest certification possible. Red Torpedo. Oxford Accessories. Eire Slovenia. Northern Ireland Slovakia. Netherlands Portugal. Luxembourg Poland. WILL FIT RST TRACTECH EVO BOOTS ONLY. Bought these for my RST Pro Jacket. Very easy to fit in the Velcro pocket and and a bit of fiddling and it's sitting right it's comfy. When riding they are not too bulky but feel more than adequate. Reference: 101870150 - 101870150. MPN 101870150. Jacket RST Tech Hollowfill size 3XL. Bought these as elbow pads for my RST Pro Jacket. Pretty fiddly to get in and to get it sitting right but it's comfy when you do. When riding they are perfect. RST Contour Plus Elbow / Knee Protector. Show your support for the cause by purchasing a pair as proceeds from the sale of these sliders will be donated to F13K Cancer. 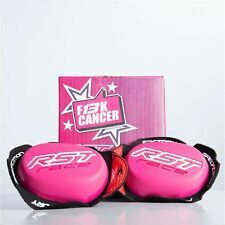 RST 1943 F13K Cancer Pink Knee Sliders. Proceeds from the sale of these sliders will be donated to F13K Cancer. Price Match Promise: We aim to never be beaten on price.